Enlightening! Easily one of the best books I have read this year. It is one thing to learn about the struggle against prejudice and inequality in a textbook, and it is quite another to FEEL as though you are LIVING it. Gilbert King is able to transport his readers back to a time which should not be forgotten. This book is hard to read, but even harder to put down. King brings Thurgood Marshall to life in a way that I had never seen done before. While I knew that he had done monumental things on his way to becoming a Supreme Court Justice, I never knew the extent of the risks he took doing them. 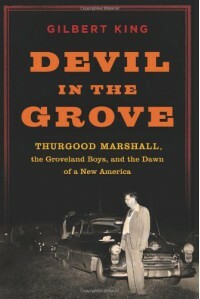 King gives us a realistic glimpse of the entire persona that was Thurgood Marshall. He did not try to prop him up as a demigod, and it was clear that Justice Marshall was a good man whose human faults did not stop him from achieving GREAT things. The story of the Groveland Boys is so dramatic, that if Hollywood made a movie about it, you would think, "Now they've gone too far! That couldn't have happened!" The sad part about it is that, Yes it really did happen. The name of the book was 100% apt. Sheriff McCall was a true Devil. I especially enjoyed the stories about the not so well known fighters in the struggle. The story of Harry and Harriette Moore brought tears to my eyes. Mr. Moore was the epitome of perseverance and dedication. 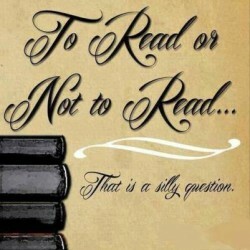 My only slight against this book was the first third or so was a little confusing. The story shifted back and forth in time, and between several cases. I think the large number of 'characters' and case histories made the time shifts difficult to follow. I did appreciate the information that was presented, but I did feel like I should be taking notes to keep up.